In any event, the city of Atlanta has announced that it will demolish Turner Field once the team moves north. Beyond that home run being important in baseball history, it also had a broader impact in highlighting racial issues in the US. In Ken Burns’ Baseball documentary, while Aaron’s homerun is showed, the soundtrack is the hate mail Aaron received en route to breaking Ruth’s record. It makes his record all the more superhuman. However, presumably, this location will be gone along with the rest of the stadium area. It is not unusual for teams to “relocate” their heritage to a new stadium – in part for the new venue to have a project a sense of history and legitimacy. 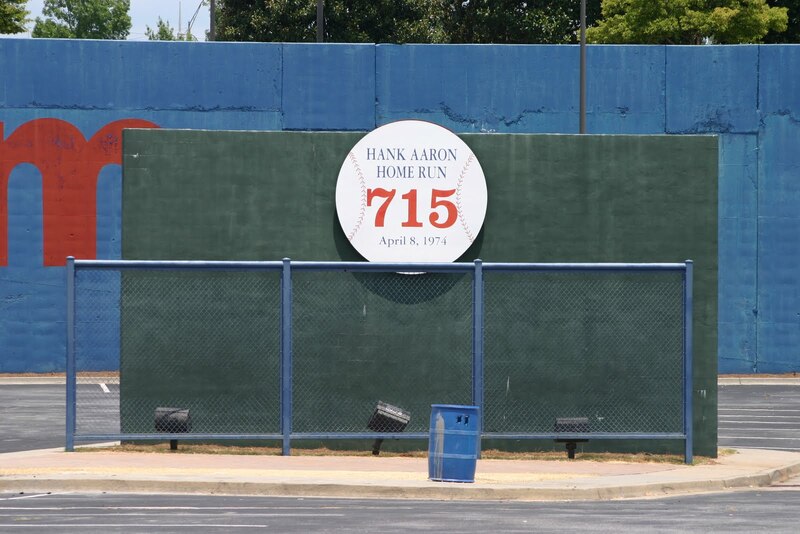 I have little doubt that Aaron’s wall – and the legacy of Hank Aaron himself – will move it’s way north and be transplanted in the new ballpark (however, given the antipathy the Braves displayed for the stadium’s Olympic past, I imagine that heritage – at least at that space – is gone). However, this move does raise the issue of in situ heritage, and whether it ought to be part of the discussion in stadium relocation. By Gregory Ramshaw in Uncategorized on November 16, 2013 . The fact is the Braves are moving to a part of town where more people in their fan base will be able to easily attend games, so it’s a good move. I personally like the move. The TED is in a rough place. Wish the falcons moved north. I’ve been to the Ted many times – I guess this move will test the view whether Atlanta sports attendance is about geography.